Snapchat parent company Snap is in talks to purchase Zero Zero Robotics, the company that created the $500 Hover Camera Passport Drone that's currently sold exclusively at Apple retail stores and Apple.com, reports The Information. 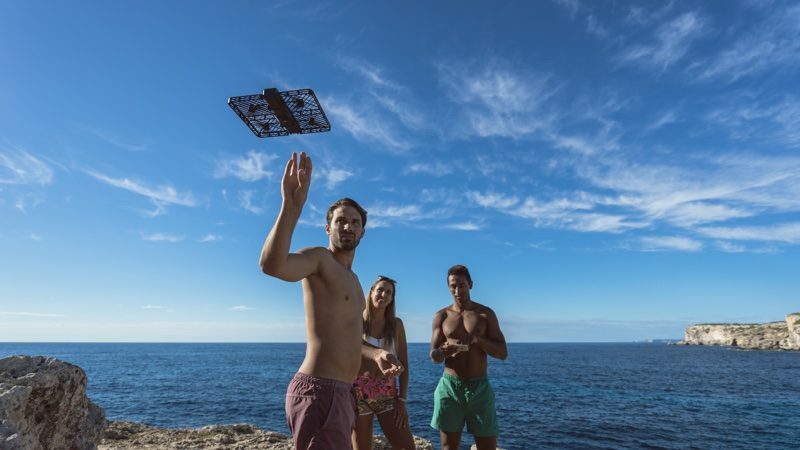 The Hover Camera Passport is an ultra lightweight drone that's designed to work as a personal camera, following closely behind a person and capturing hands-free photos and videos using face and body tracking. 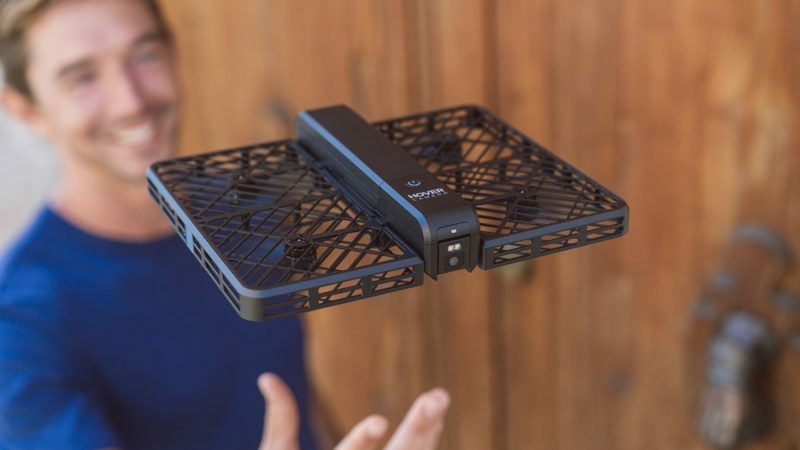 Given its small size (242 grams) and its foldable carbon fiber body, the Hover Camera Passport can go essentially anywhere. If Snap establishes a deal with Zero Zero Robotics, the Hover Camera Passport and future related products would join Snap's existing Spectacles, which are camera-equipped sunglasses meant to capture short videos and upload them to Snapchat. Right now, the Hover Camera Passport is exclusive to Apple Stores, and Apple has inked a deal with Zero Zero that has made demo products available in many Apple retail stores around the world. Should Snap purchase Zero Zero, the latter company's deal with Apple would presumably end. Zero Zero is said to have approached Snap in an effort to secure additional funding, but a potential purchase price isn't available. Snap has reportedly been looking into acquiring drone companies since mid-2016, and has already purchased one small drone maker in Los Angeles. People love to look at themselves. 242 grams, wind faster then a few meter per second blows this thing out of the sky. And, which jerk flies this in a church, just silly. A side-by-side comparison between the Passport and the Spark would be welcome. Such "beautiful" models... The average Joe buying this "useful product" surely looks like them. Not that I'm going to be cliff jumping anytime soon... (or ever).... but I feel like the drone would just follow me into the ocean if I tried to reproduce that shot. Apple is carrying it because it's high margin but it's garbage compare to DJI Spark for the same money. The Spark is a way better value than that fragile hunk of junk. Peter Gregory would have been so disappointed in Snapchat. Not into selfies. But for a travel photographer/videographer, drones are a great! Personally, i'd go for the DJI spark or Mavic over this.